Disclosed herein is an object that has two threads of different pitches. The two threads overlap and may have a common starting point. The object may be any type of threaded insert, including those commonly referred to as a type of nut or rivet such as a clinch-nut, a weld-nut and a rivet-nut. Also disclosed is a system having a part and the disclosed insert installed onto it. 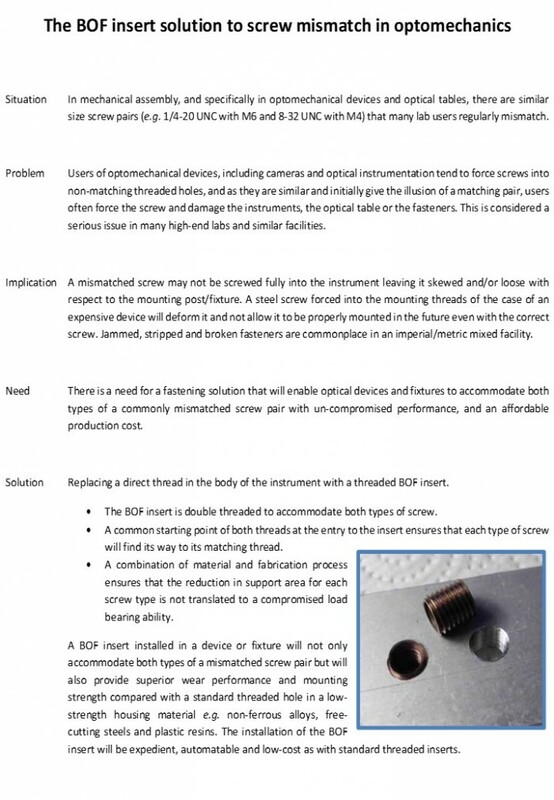 Embodiments of the invention reduce the likelihood of damage when a screw is miss-matched with a similarly sized but different threaded hole. 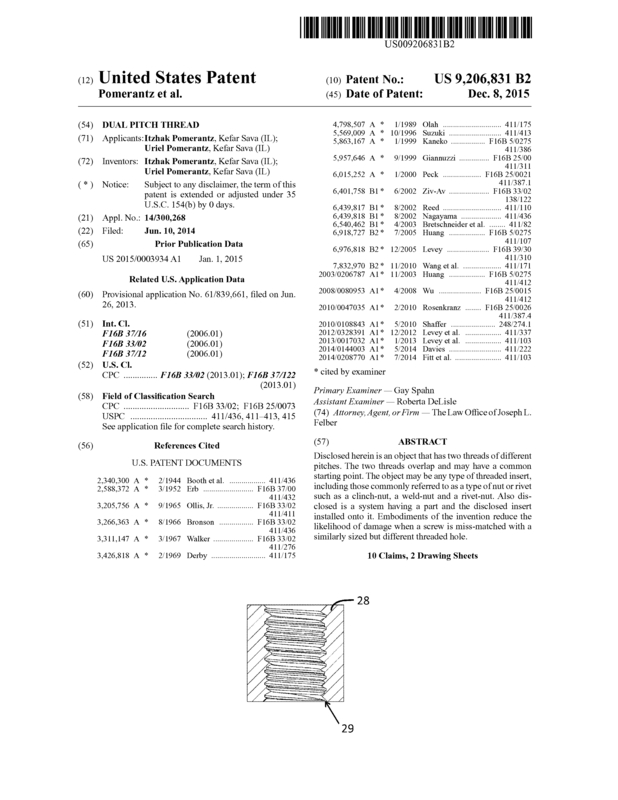 Page created at 2019-04-25 18:13:08, Patent Auction Time.